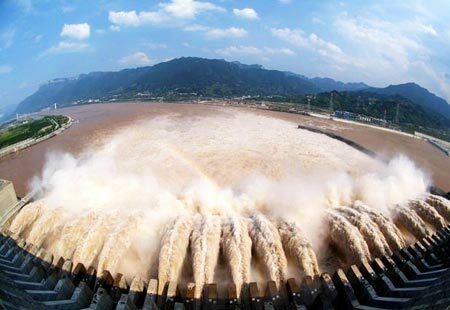 Located in China’s Hubei Province, this largest hydroelectric power station in the world contains a 375-mile-long reservoir within its impressive 7,661-foot concrete bulk. The scale of the controversial project is so huge that it has displaced millions of people, submerged hundreds of cultural sites in the Three Gorges area and precipitated an untold amount of damage on the regional environment. Construction began in 1994, but the dam is not expected to become fully operational until 2011.